Review Summary: A grandmother plays detective and tries to find out why tribal girls are disappearing after one of them vanishes from her apartment block. Note this: You need to turn into a kiddie while watching a kiddie film. 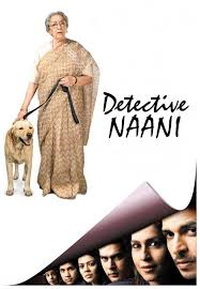 DETECTIVE NAANI is too ordinary a fare to stand on its feet. It`s the cutest title to a film in a long time. A grandmother plays detective and tries to find out why tribal girls are disappearing after one of them vanishes from her apartment block. If you have absolutely nothing else to watch and are through with your daily dose of IPL "Detective Naani" is all right for lazy weekend viewing.